Renault has announced that the Goodwood Festival of Speed will see the UK debut of the Renaultsport Clio 220 Trophy – the most potent Renaultsport Clio yet. 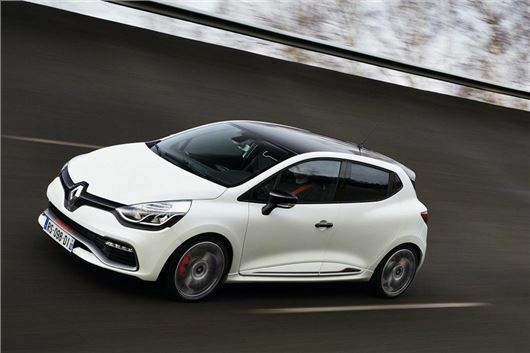 The Moving Motor Show, which uniquely gives visitors the chance to drive some of the cars on display, will host the newest Clio hot hatchback, which following a raft of updates produces 220PS. The Renaultsport Clio 220 Trophy was officially unveiled at the most recent Geneva Motor Show, bringing with it a 20PS power hike, but perhaps more intriguingly, a sharp increase in the rev limit, which jumps from 5,600rpm to 6,800rpm. That promises to make the driving experience far more engaging, while the standard dual-clutch automatic transmission changes gears 30 per cent quicker than before. The ‘Trophy’ part of the name means the chassis is lowered, while the springs and dampers are stiffened and the steering rack quickened – so all-in-all this will not quite be as comfortable as the basic car, but will be a far more responsive driving proposition. The Renault stand at the Moving Motor Show will also include the Renaultsport Mégane 275 Trophy, which is the latest and most potent version of Renault’s bigger hot hatchback. Goodwood attendees will be able to register to try that, too.